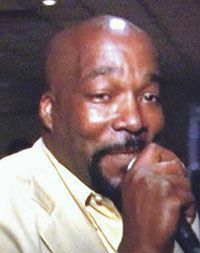 WATERBURY – Lester Riddick passed away peacefully on Sunday, March 17, 2019, at Saint Mary’s Hospital surrounded by loving family. Lester was born in Waterbury on Feb. 11, 1961, the son of Lillie Riddick. Besides his mother, Lester is survived by his sons, Dwayne Smith, Robert Carter and Elija Coats; two grandsons, Nyree Carter and Nasir Carter; his sister, Barbara Porter-Townsend; and his brothers, Illins Riddick and Marvin Riddick; his twin brother, Leonard Riddick; and his late brother, Cecil Riddick. He also leaves many nieces, nephews and a host of friends. Funeral services will be Saturday, 3 p.m., at I Am That I Am Ministries, 23 Franklin St., Ansonia, CT 06401.